Evolution Mining has entered into a joint venture (JV) agreement with Enterprise Metals over the latter’s large, early-stage Murchison exploration project in central Western Australia. The Murchison project is prospective for Archaean greenstone gold deposits and encompasses poorly tested continuations of the Big Bell and Cuddingwarra shear zones, which host multi-million ounce gold deposits at Big Bell, Cuddingwarra and Mount Magnet. 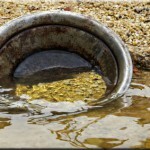 Neighbouring gold mines include Westgold’s Big Bell (with a historical production of 2.8 million ounces), Day Down (1.7 million ounces) and Cuddingwarra (800,000 ounces). Evolution was required to make an initial cash payment of $150,000 to Enterprise upon signing the agreement. “Murchison is a compelling exploration project in a well-endowed gold district,” Evolution vice president discovery and business development Glen Masterman said. Evolution, acting as project operator during the earn-in period, will spend $6 million on exploration over four years for an 80 per cent stake in the operation. It will also make an additional cash payment to Enterprise of $150,000 should the agreement remain in place after two years. 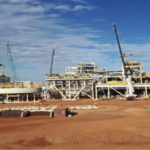 Murchison is Evolution’s second cooperative project after its acquisition of a major stake in Glencore’s Ernest Henry copper-gold operation in Queensland in 2016. 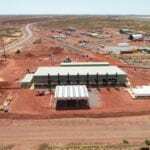 Enterprise Metals, formerly Revere Mining, is a Western-Australian based company focused on gold and base metals exploration in Australia. The Murchison JV transaction will be completed based on standard regulatory conditions.